For this scarf a piece of two-side prefelt was gently torn into ~6" wide strips. The strips of prefelt were layed down with an overlap alternating the colors to get a striped effect. The scarf was felted with a sander, fulled with a controlled approach of folding and dropping, and finished on a glass washboard. 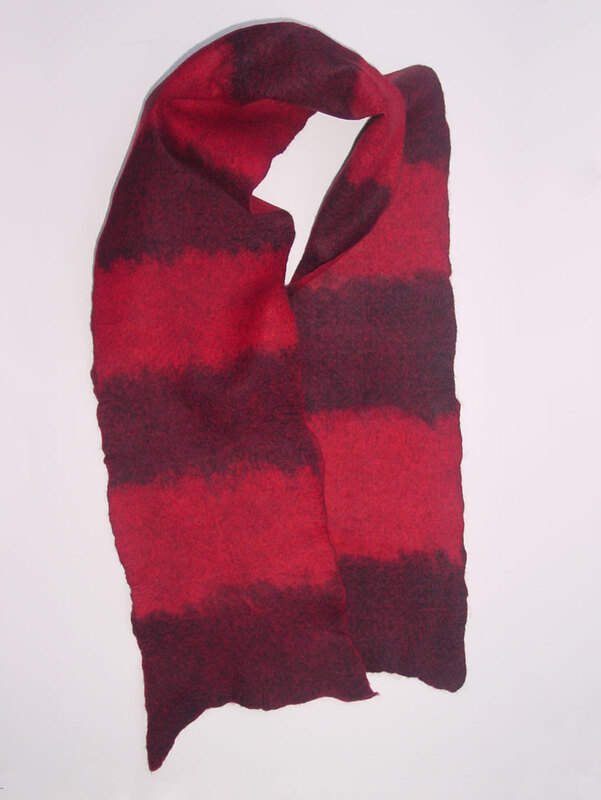 This scarf is made by felting, not nuno felting, because it is soley prefelt. Therefore you can start the felting with hot soapy water. Finished size: ~ 7 1/2'" x 55"